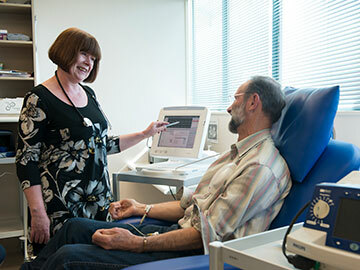 Thanks to the generosity of donors, over the last 50 years, more than $65 million has been invested into funding life-saving research, as well as specialist training for cardiologists, helping to provide New Zealanders with world-class cardiac care. This year was the Heart Foundation’s 50th anniversary, an appropriate time to celebrate the many successes achieved. 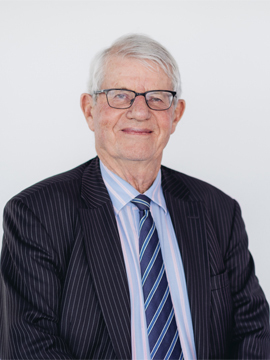 The Foundation was the vision of the late Sir David Hay and a small group of cardiologists who, in 1968, set-up the Heart Foundation to fund research and promote heart health in New Zealand. Their vision of funding research projects and specialist training for cardiologists remains a cornerstone of the Foundation’s work today, and one of the reasons that New Zealand has world-class cardiac care. Thanks to the foresight of our generous donors, we will continue to support research which will both improve cardiovascular-care globally, as well as address New Zealand-specific issues. I acknowledge the academic leadership in the work of our two endowed Chairs — Professor Rob Doughty, Chair of Heart Health at The University of Auckland, and Professor Mark Richards, Chair of Cardiovascular Studies at the University of Otago, Christchurch Medical School. We are also pleased to continue Sir David’s pioneering commitment to tobacco control through our partnership with ASH, as well as the founding Board’s directive of a life-course approach to heart health. This year ends a three-year strategic planning cycle and prompted a strategic refresh. This refresh builds on the positive work already achieved, with a major focus on ensuring that the Heart Foundation’s purpose of stopping people in New Zealand dying prematurely from heart disease and that the needs of those living with heart disease are met. I recognise the work achieved by the Heart Foundation’s staff, ably led by Chief Executive Tony Duncan and the Leadership Team. My sincere thanks to my fellow Board and Strategic Advisory Group members for their significant commitment and effort. This year the Board farewelled Michael Benjamin. I would like to acknowledge with thanks, Michael’s valued generous contribution to governance since 2003. We welcomed Wayne Fletcher to the Board. With the ongoing support of our donors, volunteers and stakeholders, we will continue our work that helps stop premature death from heart disease and support those who have had a heart event. Thank you for your contribution to this 50th anniversary milestone. The Heart Foundation made significant progress in our support of people living with heart disease during this strategic plan cycle (2015-2018). We are very proud of these achievements and will continue this momentum in improving New Zealanders’ heart health. This strategic direction followed research into what people affected by heart disease required from us. We found the biggest issue for these people was that they often felt alone, following discharge from hospital. The research findings informed the development of a more customer centric focus, with tailored programmes and resources. The well-attended community engagement sessions are provided by Heart Foundation staff, and the success of the online Journeys programme are testament to this need. We are appreciative of the health professionals who present at such events, and those people who generously shared stories on Journeys. Our research funding is aligned to our strategic direction and, thanks to the support of our generous supporters, this funding has increased. In the often cluttered and confusing nutrition environment, we empower New Zealanders to make healthier choices by offering practical nutrition guidance and recipes. The Pacific Heartbeat team provides culturally appropriate programmes to help improve health outcomes for Pacific people. Recognising the demands on schools and early learning services, we offer practical tools and information to help create sustainable, positive nutrition environments for the next generation. We continued our strong contractual relationship with the Ministry of Health. A significant milestone was the publication of the Consensus Statement on Cardiovascular Disease Risk Assessment and Management for Primary Care. This process was chaired by Associate Professor Gerry Devlin, and uses New Zealand data to highlight the need for early intervention for at-risk individuals, including Māori males (from 30 years) and those with significant mental health conditions. The challenge now is to assist health professionals in primary care to use the new equations to better manage their patients’ risk. My sincere thanks to our Board of Directors, Strategic Advisory Group members and accomplished staff for their professional expertise and generous commitment. We greatly value the support received from our dedicated volunteers, generous donors and collaborative stakeholders. I look forward to continuing to work together to stop all people in New Zealand from dying from heart disease, and to enable people with heart disease to live full lives. To celebrate 50 years of saving lives, a special function was hosted at Government House, Auckland, in April. Researchers, key partners and heart event survivors joined with Heart Foundation representatives to celebrate and reflect on this important anniversary. into research grants and specialist training for cardiologists. by local Heart Foundation teams nationwide in 2017/18. to health professionals and Kiwis nationwide. We are making good progress in the fight against heart disease, but it is still the single biggest killer of men and women in New Zealand. The biggest rise in heart disease in a decade was reported this year, and not just across the country’s older population. The Ministry of Health’s NZ Health Survey states that 186,000 Kiwis are living with heart disease, with numbers increasing across almost all age groups. “New Zealanders need to get out of the mind-set that heart disease only affects the elderly. While incidences of heart disease do increase as we get older, it is not uncommon today to see people presenting with significant heart problems in their forties and fifties. At times, even younger.” Heart Foundation Medical Director Associate Professor Gerry Devlin. Thanks to donors’ support and generosity, the Heart Foundation’s Big Heart Appeal raised money for life-saving heart research and specialist cardiac training that will help address the country’s heart health, both now and in the future. Bevan Ellis had his first heart valve replacement at 15 years old and his second at 27. Celeste & Ava Esera a mother and daughter with Wolff-Parkinson-White syndrome. Dame Jenny Shipley had a heart attack in 2000 when she was still in politics and had an angioplasty procedure. Sir Richard Hadlee bowled his last ball in Test cricket on 9 July 1990 and on 9 July 1991, underwent surgery to address Wolff-Parkinson-White syndrome. Cynthia Doole is a mother of two who had three heart attacks in ten days at the age of 36. Professor Rob Doughty is a cardiologist and Heart Foundation Chair of Heart Health at The University of Auckland, who had a heart attack in 2015. Jarred Church had a cardiac arrest on the basketball court when he was 15, which left him in a coma. He had open-heart surgery and had to learn to walk and talk again, as part of his recovery. From community events to connecting with health professionals and awareness campaigns. Here are just a few of the ways we're supporting people living with heart disease. Anna was young and fit when she had her heart event at 35. She was lucky enough to come under the care of cardiologist, Dr Ivor Gerber, who has received grants from the Heart Foundation. “The Heart Foundation’s financial support allowed me to do collaborative research in New Zealand and obtain further training in San Francisco, and then return home to share those skills.” Dr Gerber. Dr Gerber also helped Anna assess potential risks before starting a family. He called on international connections and learnt about a study of women with the same heart condition as Anna, who subsequently had pregnancies. Anna is thankful for her beautiful, healthy daughter, Zara, and grateful for Dr Gerber’s expertise. Each year, talented New Zealand cardiologists receive Heart Foundation Fellowships that allow them to study at international treatment facilities and bring home the latest knowledge and techniques to help people like Anna. The gifts received from kind supporters, like you, help bring the best of the world’s heart healthcare back home. Kaye’s heart disease came as a shock. Thinking back, she knows she ignored potential heart attack warning symptoms, and now encourages others to know what to be aware of, and seek medical advice if something is not right. Thanks to the generosity of donors, the Heart Foundation’s Heart Attack Awareness campaign, online heart health information and other resources help New Zealanders recognise the early warning signs of a heart attack, and take action that has saved lives. People who have had a heart event, and their families, receive support, information and guidance from their local Heart Foundation team and other health professionals at community events. Along with receiving vital information, these care and support sessions enable people to meet others who have had a similar experience, helping them to feel that they are not alone during their recovery. Thanks to you, the online Journeys support programme also helps people living with heart disease to feel connected. The sharing of personal experiences and reading about others diagnosed with similar heart conditions helps those affected cope with the overwhelming emotional experience of heart disease. Connecting and sharing evidence-based information with health professionals who treat patients with, or at risk of, heart disease is a key role the Heart Foundation plays to ensure that people with heart disease lead full and productive lives. The Heart Foundation provides resources, heart health information and the latest clinical findings to hospital-based cardiac teams, general practitioners and other health professionals. This year, the Consensus Statement on Cardiovascular Disease Risk Assessment and Management for Primary Care was released by the Ministry of Health. The Heart Foundation assisted with the development of this statement, and will actively promote its implementation nationwide to health professionals, such as general practitioners and practice nurses. We are very thankful for the time, commitment and financial assistance given by supporters. We couldn’t do it without you. Here are just some of the ways people have fundraised for us this year, and stories from the people who've benefited from heart research. Running her own business, fit and enjoying an active social life, Maggie was always on the go - until one morning when a blocked coronary artery caused her to suffer a heart attack at her local supermarket. Maggie was treated with a class of drugs known as ACE inhibitors. The use of these drugs for preventing heart failure after a heart attack was pioneered by New Zealand researcher Professor Norman Sharpe and his team in the 1980s, and funded by donations to the Heart Foundation. Professor Sharpe’s team was the first in the world to show that early preventive use of ACE inhibitors after a heart attack could stop progressive weakening and enlargement of the heart. This pioneering work has since become standard practice for heart attack treatment throughout the world. Very aware of how important research has been to her survival, Maggie offered to tell her story to help raise awareness about the importance of heart research. She was also one of the thousands of volunteers who collected during the Big Heart Appeal. Donations raised during the appeal support vital heart research, specialist training and education and prevention programmes, which helps save lives. We are very thankful for the time, commitment and financial assistance given by volunteers and supporters from around the country. We couldn’t do it without you. When Anne (left) first heard she had won the Heart Foundation Lottery’s first prize of a fully-furnished Jennian dream home in Whitianga, valued at $650,000, she could not believe her luck. The Masterton resident began buying tickets shortly after her husband’s heart surgery, as a way of giving back to the charity that had offered so much during this life-changing event. Anne’s prize was the 50th house built by Jennian Homes for the Heart Foundation Lottery, since they teamed up in 2009. During this time, proceeds from Lottery ticket sales have helped support the 186,000 Kiwis living with heart disease, while contributing to life-saving heart research and training. We are very grateful to our major sponsor Jennian Homes for their long-term partnership, and to everyone who supports the Lottery programme through the purchasing of tickets. Thank you for making a real difference to the heart health of New Zealanders. A big thank you to all the amazing people who run, walk, cycle or find other ways to fundraise to help improve New Zealanders’ heart health. Heart Racers’ commitment to fundraising reflects their understanding of the devastation that heart disease has on families throughout New Zealand. Thank you - you are helping change the lives of New Zealanders impacted by heart disease. Here are some examples of how Heart Foundation funded research has helped change heart healthcare in New Zealand, or read more about our study below. With one in three New Zealanders with major cardiovascular illness suffering from depression, a significant new research project has the potential to unravel why mental illness affects the heart. Led by Victoria University of Wellington School of Psychology Professor Bart Ellenbroek, the team will test the theory that high levels of serotonin in early development increases the risk of depression, anxiety and heart disease. “If we are right, then serotonin is a crucial link to both mental illness and cardiovascular disease. So treatments that improve or prevent one should improve or prevent the other.” Professor Ellenbroek. This important project will lay a foundation for new heart disease prevention, and it wouldn’t have been possible without the support of people like you. By funding this and other life-saving research projects, you are giving more New Zealanders the gift of life. We help New Zealanders to make healthier choices by offering practical nutrition guidance, recipes and culturally appropriate programmes to help improve health outcomes for Pacific people. We also offer schools and early learning services practical tools and information to help create sustainable, positive nutrition environments. Little Oaks Preschool in Cheviot, Canterbury was thrilled to receive its Healthy Heart Award. The centre worked hard to incorporate healthy eating and physical activity into its daily programme. “Our focus is for children to develop and demonstrate confidence, independence, knowledge and positive attitudes towards self-help and care skills relating to food preparation, healthy eating and drinking, hygiene and sleeping – instilling a foundation for positive lifelong habits. The Healthy Heart Award lets us celebrate and reinforce these habits.” Little Oaks Preschool teacher Nic Hiatt. It is important to give children the best possible start in life. Establishing healthy habits in the early years provides children with a strong foundation for good health and wellbeing throughout their lives. The Heart Foundation, with funding from the Ministry of Health, works with early learning services and schools to assist them in creating environments that promote and support healthy eating and physical activity for children and young adults. The Heart Foundation also provides canteen staff and caterers with resources and healthy recipes through the Fuelled4life tool and delivers, in partnership with Foodstuffs, the Food for Thought nutrition programme to year 5/6 students. Thanks to your support, New Zealand communities can have healthy hearts for life. To help make the country’s food supply healthier, the Heart Foundation, with funding from the Ministry of Health, provides advice and support to the food industry and hospitality sector. also ensure the next generation is equipped with important life-skills. To help New Zealanders enjoy a healthy diet, the Heart Foundation has partnered with vegetables.co.nz and the Health Promotion Agency to provide inexpensive, easy-to-prepare recipes for families. All the recipes are produced in popular video format and show a range of different cooking skills. Every year, the Pacific Heartbeat team’s popular specialised nutrition training courses are offered to people from workplaces, church groups, early learning services and health organisations that support the country’s Pacific community. The heart healthy nutrition and lifestyle knowledge gained from these courses is then shared with their local communities. We would like to extend an enormous thank you to a wonderful group of very generous New Zealanders. Our heartfelt thanks to the individuals, trusts and organisations, many of which are listed here, who have helped the Heart Foundation achieve its objectives during the year. Thank you also to our like-minded strategic partners who collaborate with us to deliver our work. We are grateful that you share our vision and mission in helping New Zealanders impacted by heart disease. The ongoing dedication and commitment shown by the following supporters has been integral in the Heart Foundation’s achieved outcomes.